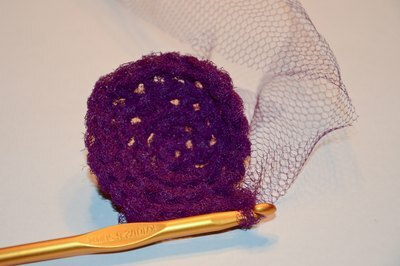 You can crochet pot and dish scrubbers from nylon netting using only basic crochet stitches. 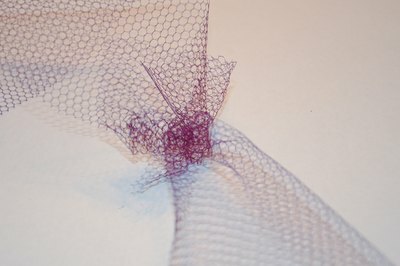 Netting is inexpensive and widely available at most fabric stores. 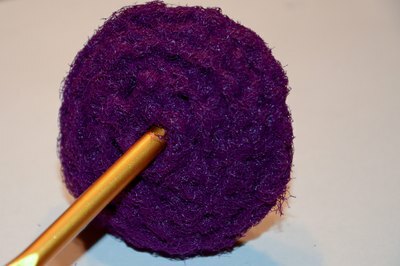 This scrubber is made as a pouch with additional crumpled netting in its center. The finished scrubber is abrasive, but not scratchy enough to damage the finish on nonstick pans. Cut netting into five 2-by-72-inch strips. Make a 1-inch slit in each strip, 1 inch from each end and centered across the width of the strip. 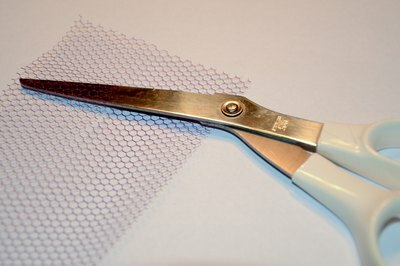 Cut a 10-by-10-inch square from the remaining netting. Set this square aside for now. Join the strips to make one continuous piece by doing the following: Insert one strip (A) into the slit in another strip (B). Pull strip A through the slit in B about 3 inches. Fold over A to bring the opposite end of the strip up to where it is joined with B. Insert the end of A into the slit on its opposite end. Pull gently to create a slipknot. Repeat with all the strips until you have an approximately 30 feet of 2-inch wide netting. Chain four. 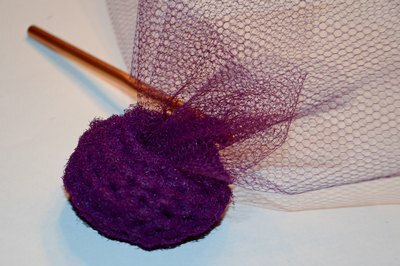 Join ends with a slip stitch to form a circle. Chain three; this serves as the first double crochet stitch. 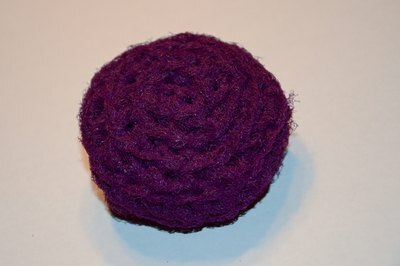 Double crochet into the circle 11 times. Join the last double crochet to the first double crochet with a slip stitch. Repeat this row three more times. Single crochet 12 times into the stitches of the previous row. Do not turn to start a new row; continue working in a round. Single crochet into every other stitch. You now have six stitches. 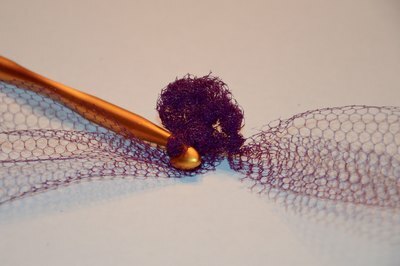 Drop the netting, but do not fasten off. Crumple the 10-inch square of netting and stuff it into the hole created by the six single crochet stitches. Single crochet into every other stitch of the last row to close up the hole. Fasten off. Tuck ends into the center of the scrubber.